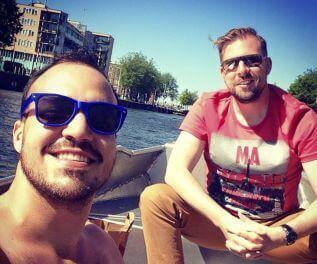 The best way to enjoy Amsterdam! 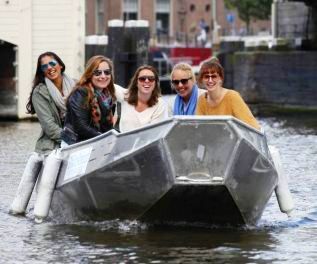 Rent your own boat in Amsterdam! Just for you and your friends or family. So you can decide how long to rent it, where to go, and where to stop on your way. Booking your boat is very easy. And so it is to sail your own boat on the Amsterdam canals. We provide a clear and personal instruction. You don’t need a license nor experience. What to bring along on your boat? Good company! Your own friends or family. Your date. Or maybe even some colleagues? Your sunscreen and/or an extra jacket, weather depending. That’s it, we’ll take care of the rest! 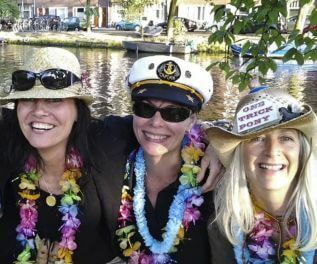 Sailing the Amsterdam canals is not just for the rich and famous. 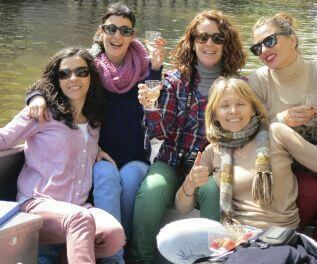 Our boat rental rates start at only euro 79,- for a three hour trip, with a maximum of six people on board. 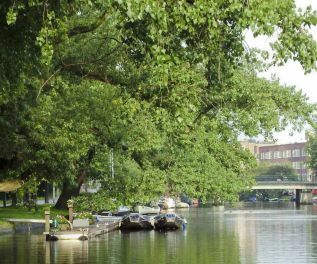 Our rates are the very best for any boat rental in Amsterdam. Our rates are all-in, no additional charges. So you can spend more money on nice food and drinks. 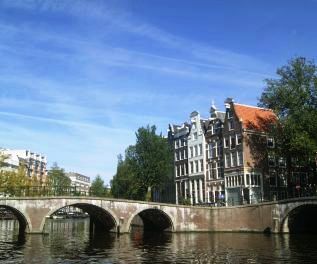 Are you not familiar with the Amsterdam canals? Are you a ’virgin’ when it comes to renting a boat? No problem! Before departure we will explain everything you need to know. And you will get a very handy, customized Amsterdam canal map with nice routes, foam seats and life vests.